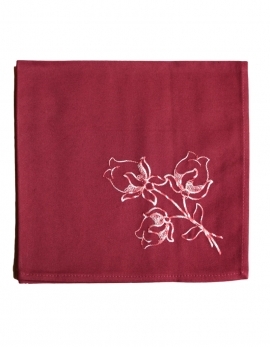 Embroidered napkin with plum colour mixed with white thread on a light percale of beige rose cotton. 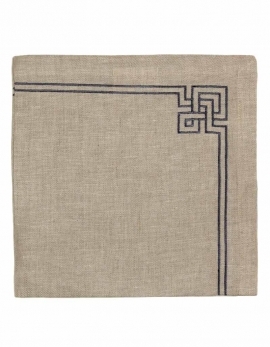 Neat miter-corners. 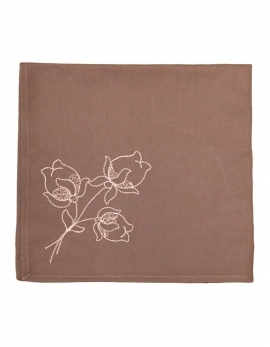 Embroidered napkin in pure linen, with slate shiny color thread. Neat miter-corners. 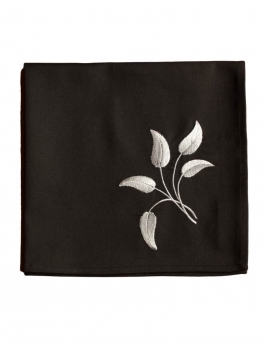 Soft and thick black color cotton, embroided with bright silver thread. 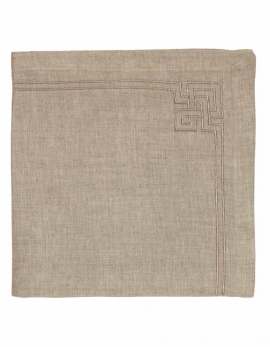 Neat mitter corners. Made in France. 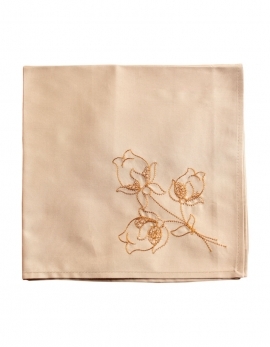 Embroidered napkin in pure linen, with natural shiny color thread. 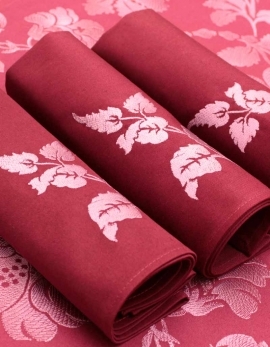 Neat miter-corners. 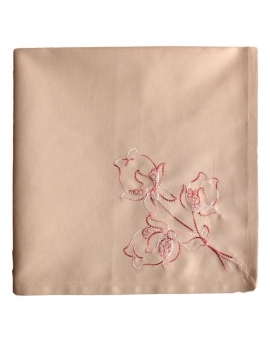 Embroidered beige napkin with bright straw thread on a light percale of beige rose cotton. Neat miter-corners. 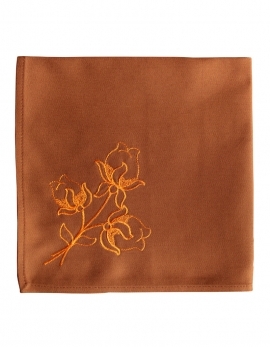 Soft and thick dark beige cotton, embroided with light beige color thread. 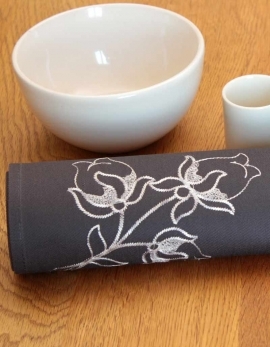 Neat mitter corners. Made in France. 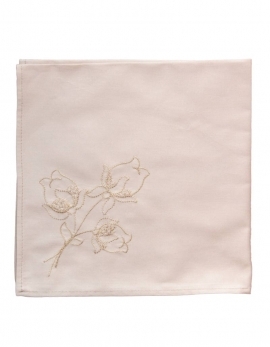 Soft and thick grey cotton, embroided with silver grey color thread. 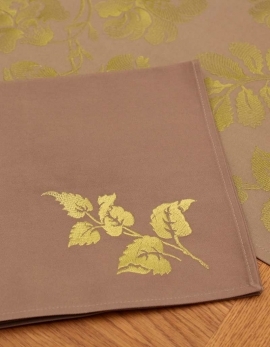 Neat mitter corners. Made in France.